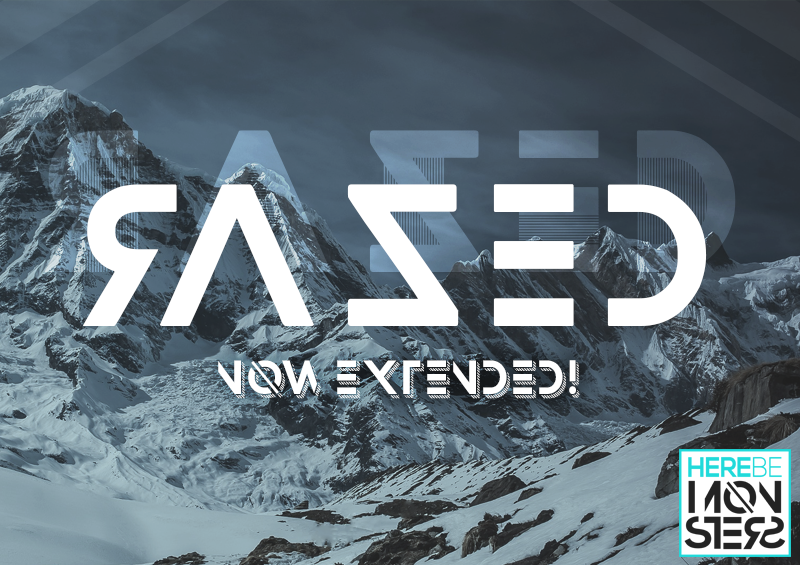 The font, Razed (pronounced raised), gets its name from “erased” due to it’s minimalist approach to character design. The dictionary definition of “raised” is “more intense or stronger than usual; higher”. A modern, contemporary font for graphic design!